The smaller the dew point temperature to the ambient temperature, condensation may mean smaller, which means more dry air. +5C, (air dew point temperature), then the air too much water is condensed after the exclusion, after the gas is heated back to room temperature. For desiccant desiccators, the regeneration interval can be controlled by measuring the dew point and saving a lot of energy for the user. 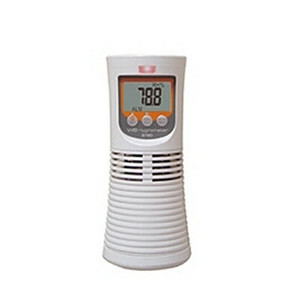 Widely Appliance temperature and humidity of room, metro, library, commercial center, and communication center room, etc. We always adhere to the targeting of instrument and meter industry elites in China and world, and our products have their own characteristics. 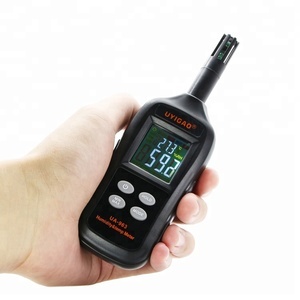 Our product range includes infrared thermometers, illuminance meters, digital multimeters and AC/DC clamp meters,etc. 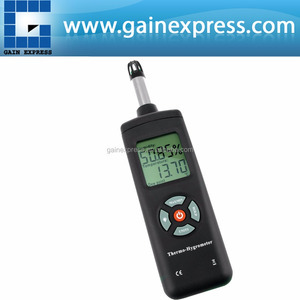 Dongguan Xinrui Instrument Co., Ltd.
High accuracy portable textile humidity (TL-500) with large LCD display The Temperature & Humidity Meter measures air temperature and humidity on the go with this meter. 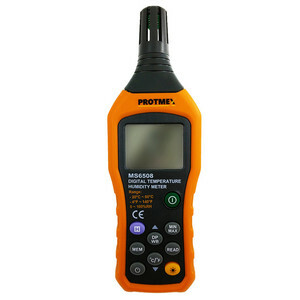 The fast response time with dual display ensures an accurate reading. 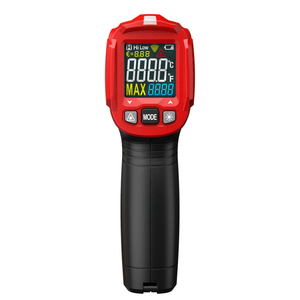 Features: -With dew point and wet bulb temperature -With humidity meter -LCD display ,portable meter and easily carrying. 2.UV light for leak detection. 3.LED light to enable working in dark environment. 5.13-point laser circle targeting to ensure the measuring accuracy. AZ8723 temperature/humidity/dew point meter/wet bulb temperature and humidity AZ-8723 Features: Fast measuring temperature humidity and dew point, wet bulb temperature! Humidity measuring stick outside street, convenient and extends to the pipeline measurement, moisture damage of sonde replaceable! Double!!! Salt shaker calibration convenient! The &ldquo;Pull Up sensor protector&rdquo; protects the unit while carrying it around. The backlight LCD helps the operator to get reading in dart environment. It can be checked or calibrated with our optional calibration cells. Technical supply free, one year guarantee and whole life long maintenance. To find your target product Thank you for your interest to our product. * If you do not really understand the specification, contact us, tell us, we can explain it. wet and dry bulb thermometer JDP-10P Specifications Thermometer with Hygrometer embedded design, flush mouted External/Internal sensor selectable Factory offer. 4) We can manufacture all kinds of digital thermometer according to your design and sample,we are more than happy to answer even the smallest question for you and we will gladly give you a bid on any item you are interested in. Feature: 1) Unique design 2) Fine craftsmanship and special design 3) Any designs,logos can be printed 4) Customized logos and designs are accepted! 2.QC and sales deaprtment: INSGADGETS have strong sales department and QC department. 3.If there are bad products, we will promptly pay compensation to customers without any charge. 4.We also sell a lot of similar electronic products, varieties, good quality,cheap price. We found in 2009 and specialize in the line of clock, timer, thermometer. We can do a new version for you if the order is big enough. Regards to the ROSH, we can offer you the material reports instead of the certificate. Q:Is OEM,ODM service available9 A: Yes all product by our own research and development . Q: How long is your delivery time9 A:Generally it is 3-7 days if the goods are in stock. Q:What's your guarantee9 A: We provide 1 year warranty of our product against shipping data. You have to inform us at our PayPal service email if you intend to return/exchange. State the items that you would like to return and the reason for the return. If you have any question, please feel free to contact us by sending us an email . 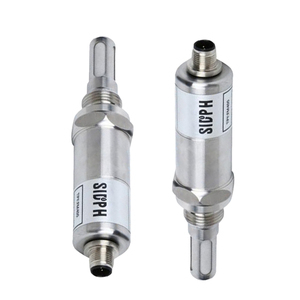 Hangzhou Kehang Thermometer Co., Ltd.
Wuxi Guochuan Marine Equipment Co., Ltd.
Shenzhen Unit Connection Technology Co., Ltd.
4 Q: What is the warranty of your products9 A: One year. 6 Q: What is your normal delivery time9 A: Our normal delivery time is 35-45 days. 8 Q: What certificates do you have for the product9 A: CE and FCC. Alibaba.com offers 420 wet bulb temperature products. About 31% of these are temperature instruments, 1% are led bulb lights. A wide variety of wet bulb temperature options are available to you, such as hygrometer, temperature sensor, and glass thermometer. You can also choose from industrial, household, and outdoor. As well as from paid samples. There are 419 wet bulb temperature suppliers, mainly located in Asia. The top supplying countries are China (Mainland), Hong Kong, and Taiwan, which supply 94%, 4%, and 1% of wet bulb temperature respectively. Wet bulb temperature products are most popular in Domestic Market, Southeast Asia, and North America. You can ensure product safety by selecting from certified suppliers, including 333 with Other, 239 with ISO9001, and 98 with ISO14001 certification.